Well, okay, some microgrids are electrical islands, particularly those that are on a literal island or in a desert or on a mountaintop or somewhere no central grid exists. They function in a stand-alone fashion, or in industry parlance islanded. Others operate independently just some of the time, separating from the central grid during a power outage to keep electricity flowing to buildings within the microgrid. But now, in advanced economies like the US, the industry is increasingly focusing on what microgrids can do when they are not islanded, when they are connected to the grid. This marks a shift in the microgrid discussion. Originally, it was the unique ability of microgrids to operate independently that drove microgrid development, particularly in North America following the widespread outages caused by Superstorm Sandy. Michael Carlson, president, Siemens Digital Grid, North America, shed light on how microgrid connectedness is coming to the fore as they become “contributory to the grid as a complete ecosystem.” Carlson discussed the topic during a recent panel presentation with Commonwealth Edison and the Illinois Institute of Technology (IIT) on Chicago’s Bronzeville Microgrid. A business, campus or community may only need an advanced microgrid’s backup generation for a few hours or days a year. The rest of the time the microgrid “is not a dead asset that stands idle,” Carlson said. It typically continues to operate 24/7/365, leveraging its resources, finding ways to make energy less expensive, cleaner and more efficient, depending on how it is programmed. At the same time, the microgrid acts as a resource for the broader grid, offering energy, demand response and ancillary services in return for revenue. This new relationship relies on monitoring, control and grid visualization. To manage resources properly, control room operators need to be able to see all of the resources operating on the system, even those owned and operated by others. Then they need to understand what they are seeing and understand how to act on it. That’s where automated analytics comes into play. The Bronzeville Microgrid takes the connection challenge to a new level. 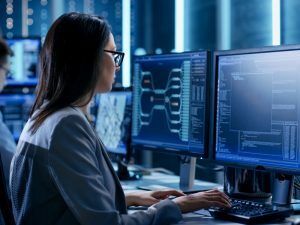 Not only does it connect to Commonwealth Edison’s grid, but it also brings together two microgrids, one being developed by ComEd and the other operated by ITT. Siemens is providing the software to manage the microgrid cluster. Microgrids are viewed as the most sophisticated of distributed energy resources. Not only can they island, but they also are able to multi-task multiple resources within their boundaries, such as solar, energy storage, wind power, fossil fuel generators and load. Microgrid clusters are expected to take this type of management to a new level, with one microgrid reaching into another to share resources. So perhaps the wind stops blowing in one microgrid, leaving it short on power. But the one down the street has an excess that it can share — at least hypothetically since clustering is still a concept to be tested. Other distributed energy resources also offer a strong point of value by connecting together, particularly aggregated energy storage and virtual power plants. 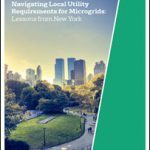 Stem, Advanced Microgrid Solutions, Sonnen, Consolidated Edison, Green Mountain Power and others are teasing out how to leverage this whole-is-greater-the-sum-of-its parts capability. California-based Stem, for example, recently signed a deal to build a 235-kWh energy storage system for the City of Huntington Beach’s Civic Center. Using artificial intelligence the Stem system will work to reduce the facility’s utility demand charges and help it manage its renewable energy systems. When the city is not using the battery storage system, it will join with Stem’s larger energy storage network to offer services to the grid services and earn revenue doing so. Stem said that when heat waves and wildfires put strain on the grid, its system can be dispatched in real time to provide additional power. “We were attracted to Stem’s track record with automated customer savings while also using their storage networks to help integrate more renewable energy into the local grid,” said Mike Posey, mayor of the City of Huntington Beach. The value of the connection between grid and microgrid (or other distributed energy resources) isn’t lost on the utility industry. Interestingly, recent research by the Association of Energy Services Professionals finds that distributed energy resources will overtake use of energy efficiency and demand management to ease pressure on the grid and reduce use of fossil fuels over the next three to five years. In a survey of 200 utilities, Illume Advising and Grounded Research found that less than a third expect their energy efficiency programs to grow in the next three to five years, and less than half see demand response expanding. However, nearly all expect growth in distributed generation and energy storage. 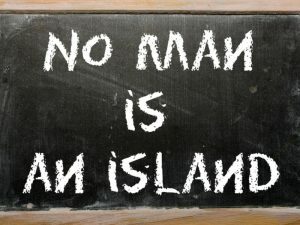 So once seen as an alternative to the grid, microgrids and other DERs are now instead becoming an integral component, a way to both stand-alone and stand together, islands connected with a bridge. Join Siemens and other Microgrid 2019 sponsors in San Diego, May 14-16, for an in-depth look at microgrids, nanogrids, virtual power plants and other advanced energy technologies. 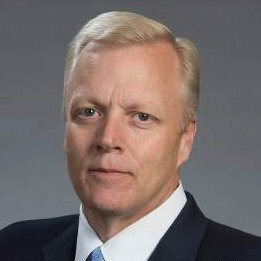 “Using artificial intelligence… the stem system will work to reduce the facility’s utility demand charges…”. So apparently stem has developed software that is so sophisticated, it can pass the turing test… and they have decided to use it to help customers reduce demand charges?